Excitement is building in the commercial trucking industry as people wait for the leader in platooning, Peloton, to announce the release date for its two-truck platooning system, PlatoonPro. In hopes of temporarily satisfying truck enthusiasts, the company released a list of the safety measures they have put in place to make sure their platooning technology will increase safety for truckers and other cars on the road. Here are some of the ways Peloton is ensuring their tech will make driving safer once it is released. Platooning is a new way we are seeing artificial intelligence working in the trucking industry. This technology is a legal, digital way for a fleet of trucks to communicate with one another using a wireless internet connection. When the front truck brakes, the truck behind can automatically brake or slow down to avoid a collision. Reaction time is improved, allowing trucks to follow more closely behind each other compared to manual driving or cruise control. Platooning is spreading rapidly thanks to the technology being adapted by numerous truck manufacturers. Companies now working to equip their trucks with platooning technology include Tesla, Volvo, Daimler Truck North America, and many more. In their article, Peloton states that its goal is to make platooning safer for truckers than ever before. That means the moment they hit the button to activate the platooning feature of their truck, their risk of collision or accident should decrease dramatically. From safety systems to air disc brakes, Peloton’s goal is to not disable any preexisting technology when platooning is enabled. Instead, they are building upon these proven safety systems to make platooning even safer. They also plan to hold their trucks to a high standard with strict maintenance and inspection requirements that will ensure all trucks are in working order before hitting the platoon button. One of the biggest aspects will be the new vehicle-to-vehicle direct communication. This technology will be possible due to industry-standard digital short-range communications (DSRC.) This will allow two trucks to accelerate, slow down, and brake together. With this technology, truckers will be able to follow closer than ever before without having to worry about reaction delay. This will decrease fuel consumption, allow for more space on the highway, and make driving easier and safer. Platoon ProXimity Dissolve will use camera sensor data and radars to gage traffic conditions in front of the leading truck during a platoon. In case traffic becomes too dense, or if a car cuts in front of the lead truck, the following truck automatically slows down to create more space. This allows all drivers to avoid any situations that may require hard and sudden braking during a platoon. Platoon Dissolve allows the following driver to manually dissolve the platoon. With the follow-truck system, the driver can slowly increase the gap between the two trucks until there is enough space to safely start controlling the brake and accelerator pedals. To help the following trucker have a better understanding of what is going on ahead, PlatoonPro features an Info Display in the dash. This display will provide a live video feed from a forward-facing camera in the lead truck, so following drivers will be able to see changing road conditions, upcoming traffic, ramps or bridges, and any other objects up ahead. To help promote efficient communication and teamwork between drivers, the new platooning system is equipped with a hands-free driver-to-driver radio that can be activated with a foot pedal. This will help with synchronizing lane changes, upcoming road changes and when to dissolve a platoon. 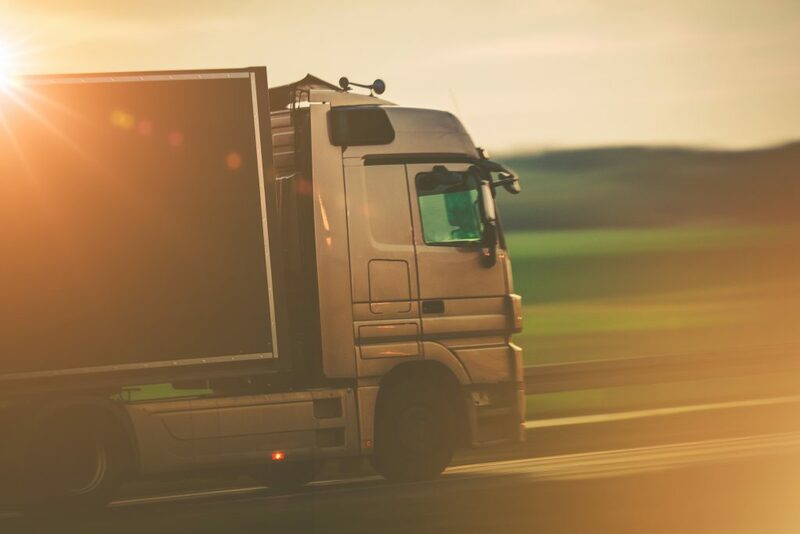 Because platooning systems could potentially be hacked or tampered with from outside sources, it is important that these systems have top-notch cybersecurity to keep truckers and surrounding drivers safe. This system has been highly tested to prevent hacking and will immediately dissolve if a system becomes jammed. Platooning is still in its early phases and requires more research before all 50 states will allow it. Only half of the U.S. currently authorizes the technology, but companies like Peloton are embracing industry standard testing. Substantial in-lab and track testing must be done first before moving on to on-road testing in order to maximize safety standards. As more and more companies continue to do this, then more states will continue to change their laws.